Completing middle school is an important milestone. Teachers, administrators and parents were happy to celebrate this accomplishment recently in an online ceremony. Students came with graduation caps they designed themselves. After sharing about their original caps, teachers shared what they appreciated about each student. Here are some reflections from several IVLA eighth grade grads. I love IVLA because I can do what I love at the same time as doing school work. I can be outdoors one minute and the next minute I’m doing school work. It also makes traveling to watch my brother, who plays in the MLB, easy. Most of all, the teachers are great. – Bryson A. Attending IVLA has been a wonderful experience. I have been able to improve my writing, fall in love with science, work hard at algebra, and learn very important life lessons in social studies. I would like to thank all of my teachers and mentors who were so helpful and welcoming. I would also like to say how much I appreciated the homeroom meetings, because I was able to meet people from all around the globe. Not only has IVLA been very educational, it has been a blast. Thank you again IVLA for an amazing semester. – Fiona K.
IVLA has given me a great experience this semester. I have had an amazing semester because of the amazingly flexible curriculum, and amazing teachers like: my science teacher (Tammy Warnick), English teacher (Heather Boyd), history teacher (James Perkins) and math teacher (JanElle Hoffman). I also wanted to thank Mrs. JanElle Hoffman for making homeroom both entertaining and educational, and for introducing me to my new homeroom friends. I leave with many great memories like the “Bring Your Pet” homeroom session, learning about US history (something that’s fairly new to me as an overseas student), and I hope to make more memories in grade 9. – Gabriela S.
My year at IVLA has been absolutely wonderful. My teachers have been with me every step of the way and they have helped me grow as a student and a person. I cannot wait for what next year brings and being able to conquer the school year with them! – Ke’Andra R.
I started IVLA when I was in 5th grade. At the time, we moved from Texas to North Carolina because of my dad being in the Military. During that period of time not only did I study in North Carolina but also in Germany, Spain, Poland, Bosnia Herzegovina, Croatia, Czech Republic, Serbia, England and many other places. The same thing happened with 6th grade. I love IVLA because I can do what I love at the same time as doing school work. I can be outdoors one minute and the next minute I’m doing school work. It also makes traveling to watch my brother, who plays in the MLB, easy. Most of all, the teachers are great When we moved it was hard for me to focus on my school work because it was a time when my grandfather was very ill and we visited him quite often until he passed away at the beginning of my 7th grade, then it was hard to even start studying. Eventually I did start studying and I was very far ahead in my studies when we went on a Disney Cruise (amazing!). 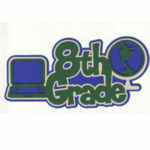 Seventh grade is when I chose to a do Rosetta Stone. Of course, I chose Spanish because most of my family on my mom’s side speaks Spanish and is of Spanish origin. I started to fall behind when we moved from an apartment to a house and then all the holidays like Thanksgiving (went on a Royal Caribbean cruise…Disney was better) and Christmas came around. What was great is that every time I fell behind I would catch up! The flexibility of being homeschooled allowed me to do school anywhere and at any time! Eighth grade came around and I managed to finish History and Science pretty quick. This included a trip to California, to Boston, and two trips to Honduras including a day lay-over in Panama City, Panama. Though there were a lot of difficulties connecting or staying connected due to some kind of glitch, I was moved from Odysseyware to PLATO, which I found had no problems staying connected. I just finished Math (June 8) and have to catch up and finish language arts. There was always a great connection with my teachers. I especially liked having homeroom with Mr. Perkins and the other students. I would like to thank the Academy…just kidding. I would like to thank all my teachers for being very helpful and kind, as well as tech support. And a special thanks goes to my parents for pushing me to succeed. – Christian A.